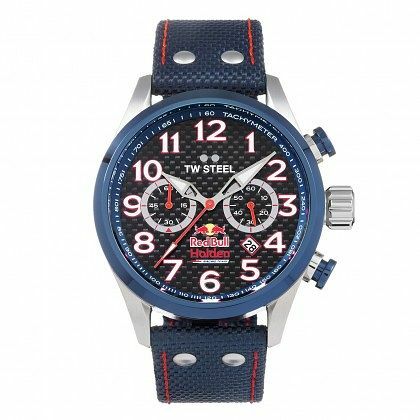 TW Steel collaborates with Red Bull, crafting a sporty timepiece that is lined in the famous blue and red Red Bull colours, with two separate subdials and a tachymeter around the dial for tracking speed; perfect for those that may frequent sporting events. TW Steel - big in oversized watches. TW Steel Red Bull Men's Blue Ion Plated Strap Watch is rated 5.0 out of 5 by 1. Rated 5 out of 5 by Anonymous from Great product from TW Steel Great watch from a very good company to deal with... Good communication throughout the purchase. Excellent price although a sale price.